14 November 2017, 9 January and 21 March 2018. These proceedings are stood over to enable the respondent to provide such evidence and to make such submissions as he may wish at a further hearing as to whether the Tribunal should refer his conduct to the Supreme Court. The applicant may file and serve before 20 April 2018 any evidentiary material which he wishes to make available to the Tribunal limited to whether or not the respondent has complied with orders made by this Tribunal. Such evidence must be in sworn form, or, if not, the applicant must be prepared to be sworn as to its truthfulness at the next hearing. Any evidence which the respondent wishes to provide should be filed in the Registry before 4 May 2018 and served on the applicant. The proceedings are stood over for further hearing at 10 am on 11 May 2018. These proceedings have their genesis in an Application filed by the applicant Garry Burns on 17 October 2017. In that application the applicant sought a finding by this Tribunal pursuant to the provisions of section 73 of the Civil and Administrative Tribunal Act (“the Act”) that the respondent John Christopher Sunol was in contempt of this Tribunal. The basis of the application was a publication of certain material by the respondent on a website concerning a Principal Member of this Tribunal and which was alleged to have been published in connection with certain proceedings in this Tribunal being conducted by her between the applicant and the respondent. 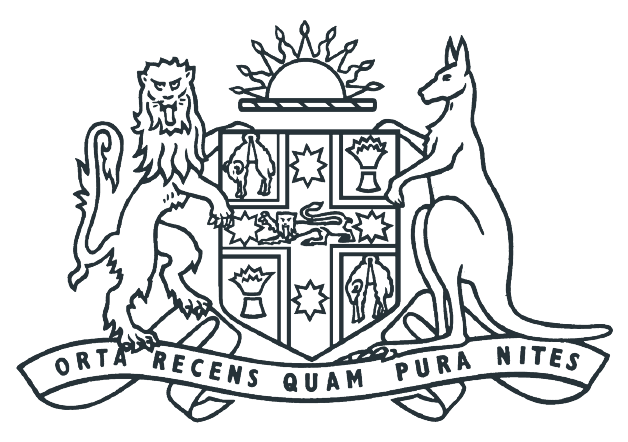 The proceedings were amended pursuant to an order made by me with the consent of the respondent by which the applicant in lieu of seeking an order of contempt from this Tribunal sought an order that the proceedings be referred to the Supreme Court of NSW pursuant to the provisions of section 73 (5) of the Act. (1) The Tribunal has, if it is alleged, or appears to the Tribunal on its own view, that a person is guilty of contempt of the Tribunal committed in the face of the Tribunal or in the hearing of the Tribunal, the same powers as the District Court has in those circumstances in relation to a contempt of the District Court. Note : Section 27 (1) provides that, in the case of proceedings for contempt of the Tribunal, the Tribunal may be constituted by one or more members (being members who are the President or any other member who is a current or former NSW judicial officer). (2) A person is guilty of contempt of the Tribunal if the person does or omits to do any thing that, if the Tribunal were a court of law having power to commit for contempt, would be contempt of that court unless the person establishes that there was a reasonable excuse for the act or omission. (3) Without limiting subsection (1), the Tribunal may vacate or revoke an order with respect to contempt of the Tribunal. (c) section 201 of that Act applies to a ruling, order, direction or decision of the Tribunal under those provisions as so applied. Note : Section 201 of the District Court Act 1973 (as applied by this subsection) provides for appeals to the Supreme Court against contempt decisions of the Tribunal under this section. (5) Without limiting the powers of the Tribunal under this section, if it is alleged, or appears to the Tribunal on its own view, that a person is guilty of contempt of the Tribunal (whether committed in the face or hearing of the Tribunal or not), the Tribunal may refer the matter to the Supreme Court for determination. (6) The Supreme Court is to dispose of any matter referred to it under this section in the manner it considers appropriate. As will be readily seen, the applicant by the amended application sought that the question of whether the respondent was in contempt of the Tribunal should be determined by the Supreme Court of NSW. In the course of the proceedings documentary evidence was tendered on behalf of both parties and both the applicant and the respondent gave oral sworn evidence. I shall refer to such parts of the evidentiary material as is relevant in the course of these reasons for decision. The basis for the allegation that the respondent was in contempt of this Tribunal is contained within an Internet site by which the respondent published material from time to time, known as a blog. A copy of material published on this Internet site became evidence in the proceedings. The applicant gave evidence that he accessed the site on 15 October 2017 at 10:42 am and on that date printed a copy of the material contained on the site which is in evidence. That material indicates that the site was known as johnsunol.blogspot.com and was hosted by webcache.googleuser.content.com. The respondent conceded for the purpose of these proceedings that he was the publisher of this Internet site, although, as will be seen, he denied personally placing the alleged contemptible material on the site. A reference to certain aspects of the employment engaged in by the named Principal Member prior to appointment to NCAT. I should immediately state that the conduct of the Principal Member described in paragraphs (1) and (2) is beyond any power or jurisdiction of this Tribunal. This Tribunal has no power to make orders allowing any prisoner to be released from prison. It is difficult to comprehend how anyone could make an assertion that a Member of this Tribunal could have engaged in any conduct of the kind described in this publication. The applicant formulated a charge of Contempt for the purpose of the original application brought by him in which he described the statements published on the Internet site concerning the Principal Member as being “defamatory, insulting, pernicious and offensive.” Furthermore, they were said to be untrue, false and malicious and had the effect of discrediting and impugning the character of the Principal Member with a consequence that that Member “cannot be trusted and accepted as a person likely enable to fulfil” the duty of a Member. The characterisation of the published material is not contentious because the respondent conceded that it was incorrect, was “totally abhorrent” and that there was no factual basis for the publication of that material. He spoke of the Principal Member as being a person who performs duties in a professional and appropriate manner and he said he did not condone in any way the publication of the material. I shall, however, returned to this apparent declaration of praise expressed by the respondent for the purpose of avoiding a referral of these proceedings to the Supreme Court. For the purpose of determining these proceedings it is necessary that I make reference to some other matters concerning the relationship, or more accurately the lack of any relationship, between the applicant and the respondent. Unfortunately, there have been many proceedings before this Tribunal between these two parties conducted over several years. In his evidence the respondent said that since 7 March 2014 the applicant has lodged 18 complaints concerning his conduct to the Anti-Discrimination Board of NSW “resulting from material published directly on johnsunol.blogspot.com.au by him and another person whom he named as Luke McKee. He said that those 18 complaints, of which he provided details, had been referred to this Tribunal “for public hearings in which I was deemed responsible and made the respondent of the complaints.” He relied on those complaints as evidence of a course of harassment conducted against him by the applicant. Furthermore, he characterised the applicant as participating in vexatious litigation against him. The respondent filed a document on 14 November 2017 which he described as being an “initial response” to the contempt application made by the applicant for the purpose of the directions hearing. A number of documents were annexed to this document including a spreadsheet listing all of the proceedings between himself and the applicant before this Tribunal and its predecessor. Other documents which were annexed referred to other proceedings between the same parties together with police proceedings initiated against the respondent alleged to have been instigated by the applicant. There is also annexed some historical material concerning the personal circumstances of the respondent. One matter which pervades this documentation and which the respondent repeated on several occasions in his evidence and submissions in these proceedings was a claim that the bulk of the offending material was placed on his blog by Luke McKee without his knowledge and consent. I shall return to this matter later in these reasons for decision. 23. Most of the case law under section 49 ZT of the Anti-Discrimination Act (Homosexual Vilification) comes from decisions made by biased panels in the many Burns v Sunol cases when I was unrepresented in front of the panels and unable to coherently defend my comments in the public interest (there is then a reference to a spreadsheet of the several decisions). The problem is that the NCAT panels are hand-picked to have on them people who either support the homosexual agenda as a result of their political convictions or support the homosexual agenda due to their minority sexual orientation. Either way they will always substantiate homosexual vilification complaints from Garry Richard Burns because they are referred by the President of the Anti-Discrimination Board. He (or the acting President see at the present time) are not asking NCAT to dismiss the complaints. They want them legally substantiated in order to deepen and strengthen homosexual vilification case law in line with the homosexual agenda. 23. The homosexual vilification panels at NCAT do not serve the interests of the respondent’s human rights, in dealing with the torrent of complaints by Garry Richard Burns, but serve the interests of the President of the Anti-Discrimination Board. And the Anti-Discrimination Board is the spearhead of the homosexual agenda in New South Wales, Australia. I shall refer to this material further. In the course of his submissions and evidence in these proceedings, the respondent repeated his assertion that the material about which the complaint is made in these proceedings was published by Luke McKee. However, he could not provide any evidence to substantiate this assertion, and was unable to provide any evidence about any steps taken by him immediately upon becoming aware of that publication. Indeed, some of the respondent’s evidence was to the effect that he was not looking at the website regularly, but when he had occasion to do so he eventually closed it down and started another one. Again, he was unable to provide any evidence to substantiate these assertions. Nevertheless, the respondent acknowledged that because the material had been published on “his” website he had ultimate responsibility for any adverse consequences. 1 The material that was complained about on (the named Principal Member) is totally abhorrent, disgusting and of serious defamation. It lies within the reach of criminal defamation and for this to be put on my blog for the public to see and read without evidence meets the criminal threshold of serious vilification – defamation, – this if it does not meet criminal standards in my mind it should. I see no use of this part to attack a member of the public Judiciary but without evidence as anything but to attack the common law and other members in the public. This (Member) is a hard-working member of the discrimination tribunal who does not deserve this. 2 Whilst I do not accept being the writer of this and ethically I do not accept responsibility, I understand that with me being the owner of the blog and the fact that the blog was in my own name, I have to accept legal responsibility as a publisher of a news media does about the articles written on their media outlets. Whilst I had no real knowledge of this article until after it was published I still offer my apology to (the named) Tribunal member and take responsibility of this only being under my name whilst I am not the author of the so-called post. 3 I will in future keep a check on my blog every day – never write such articles that disparage people like this article and not allow such vilification/defamation/slander on my blog again. I will also check on this blog and delete any such comments as well to other articles that other people put on the blog. I do not attack people – I debate ideas and philosophies only. I observe that the respondent has emphasised in this form of apology his respect for judicial and Tribunal members and his abhorrence concerning the type of criticism contained in the published material which is at the heart of the applicant’s application. However, I observe also that the respondent personally engaged in similar scurrilous criticism of members of this Tribunal in the material which he made available during the course of this hearing which I have extracted in  above. The named Principal Member who is referred to in the material published on the respondent’s blog was a member of the Tribunal which determined a number of the proceedings brought against the respondent by the applicant. There must be considerable doubt about the sincerity of the respondent and the genuine nature of his apology in this regard. Moreover, as will be seen, the respondent has previously been ordered by this Tribunal to make apologies to the applicant on many occasions and, whether or not given, has continued to persist with the same conduct. This entry was posted in NEWS on April 10, 2018 by Garry Burns.